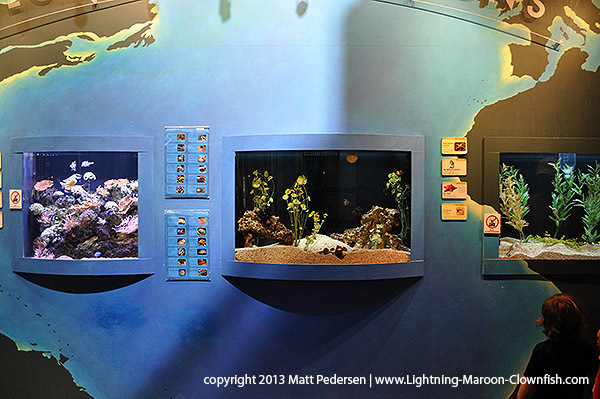 So still playing catchup on the Lightning Maroon Story…there’s already so much “behind the scenes” and “prequel” type content…I doubt I’ll ever get it all out there. 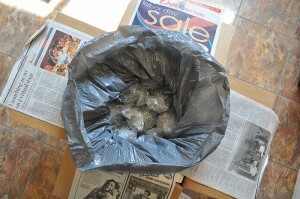 I did manage the first installment fairly quickly. 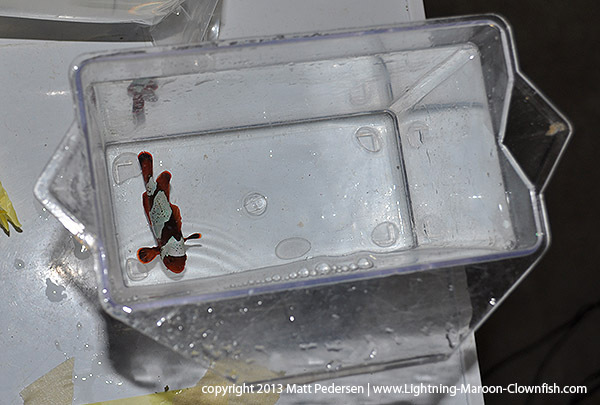 It’s time to hit the second installment of the “recap”, the acclimation of the Maroons to their new home. 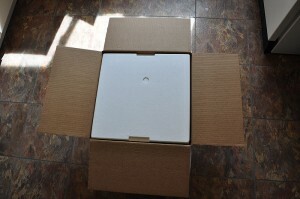 We pick up where we left on on March 31st, with the box newly opened. 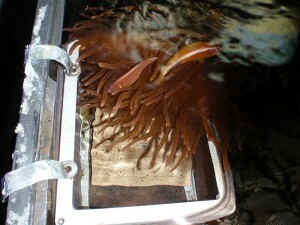 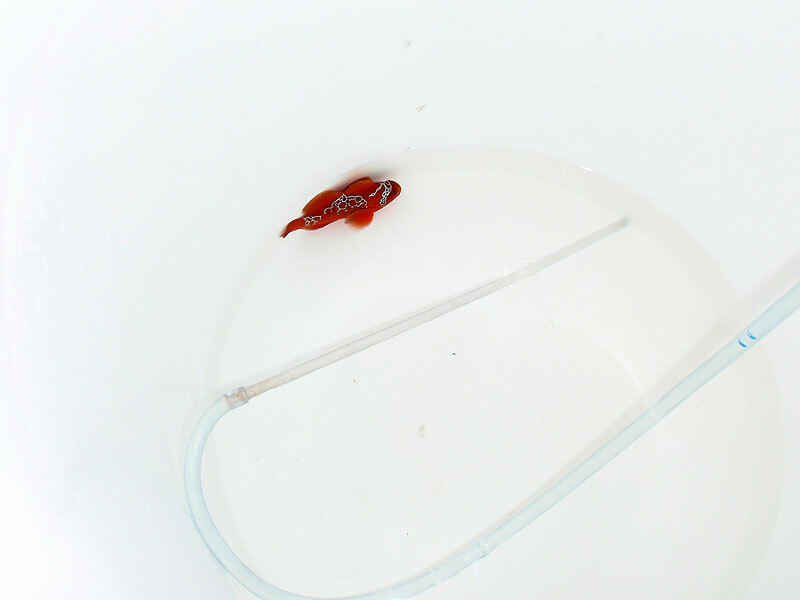 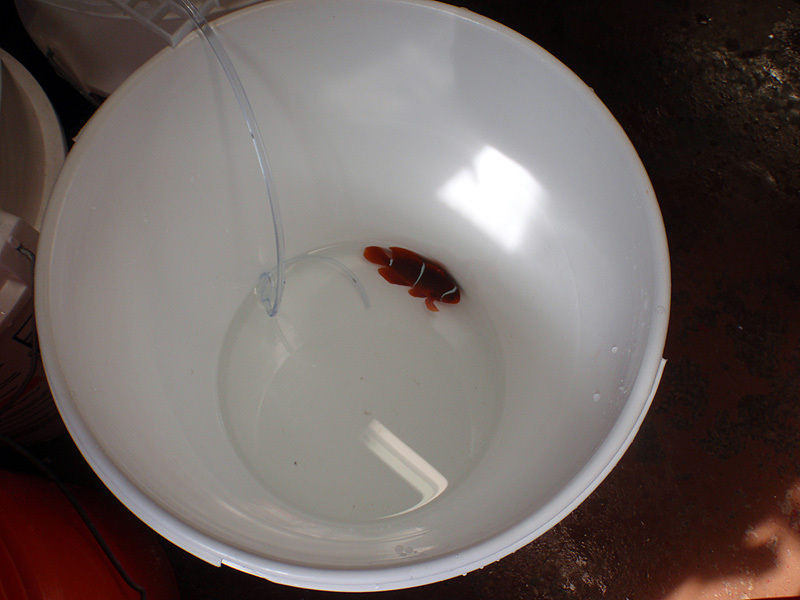 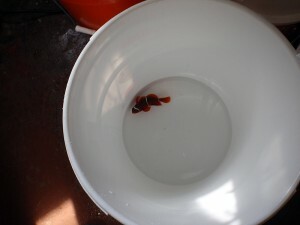 I had already taken salinity readings and matched the tank water to them (fish were shipped around 1.020). 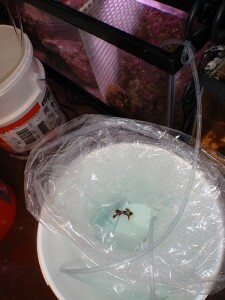 Time to set up the drip acclimation. 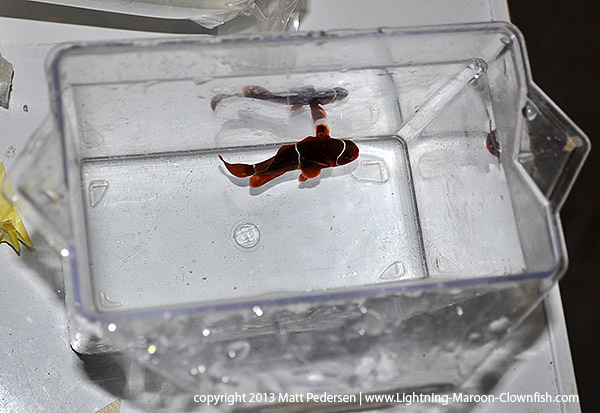 Didn't even bother handling the Lightning Maroon, started acclimation in the bag. No chances taken - Eggcrate covers the acclimation bucket! 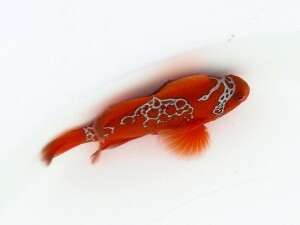 Here's the "female" shipped from Blue Zoo. 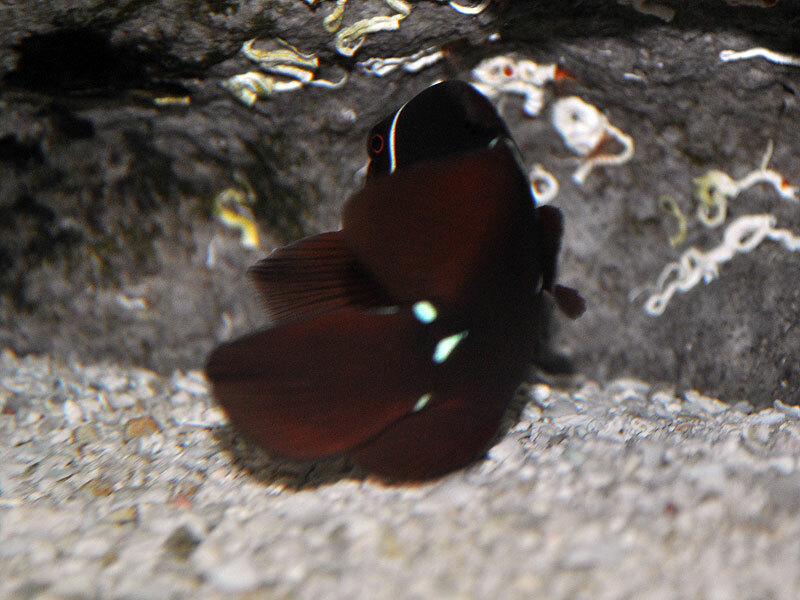 Got many better pictures of the female. 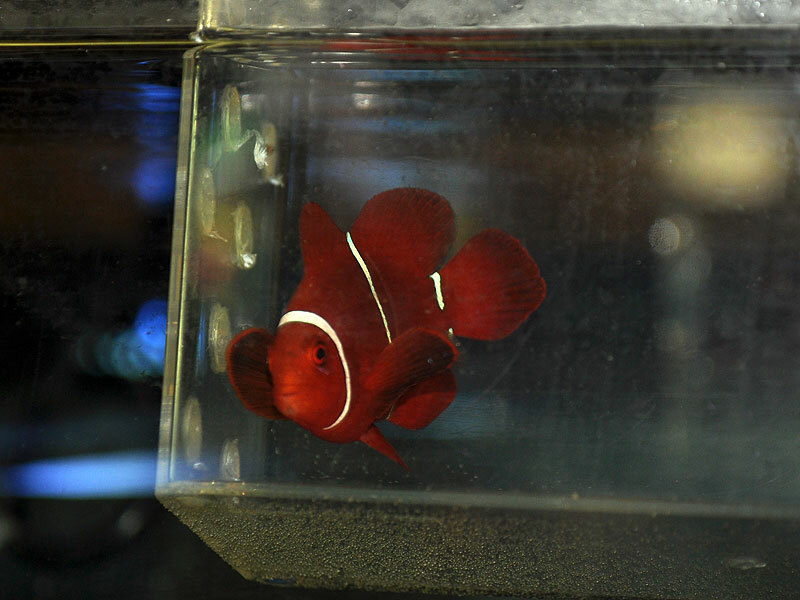 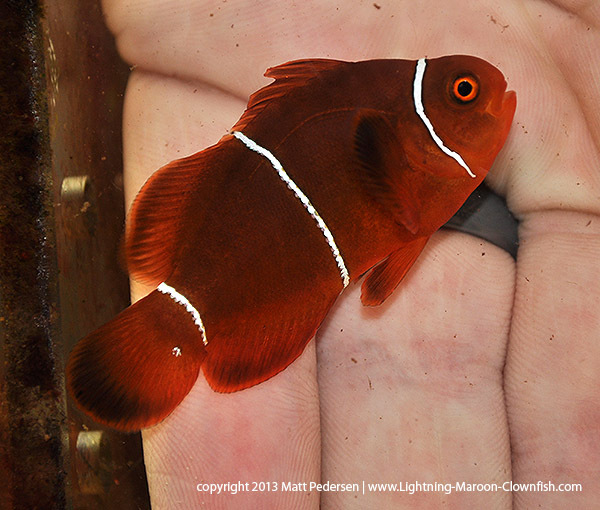 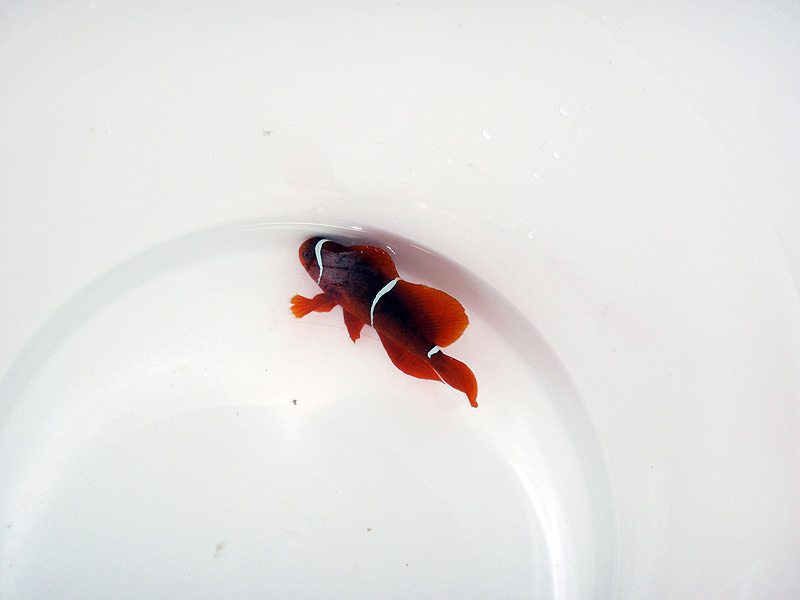 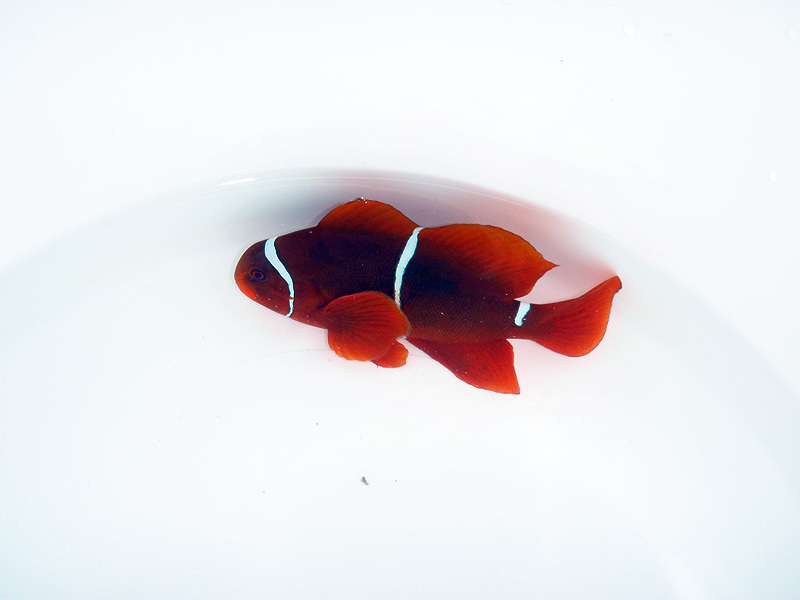 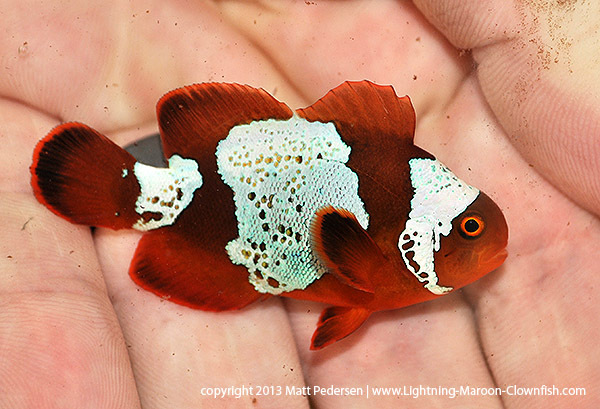 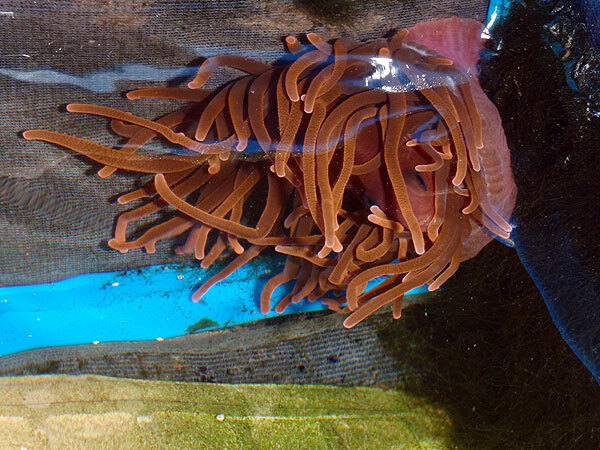 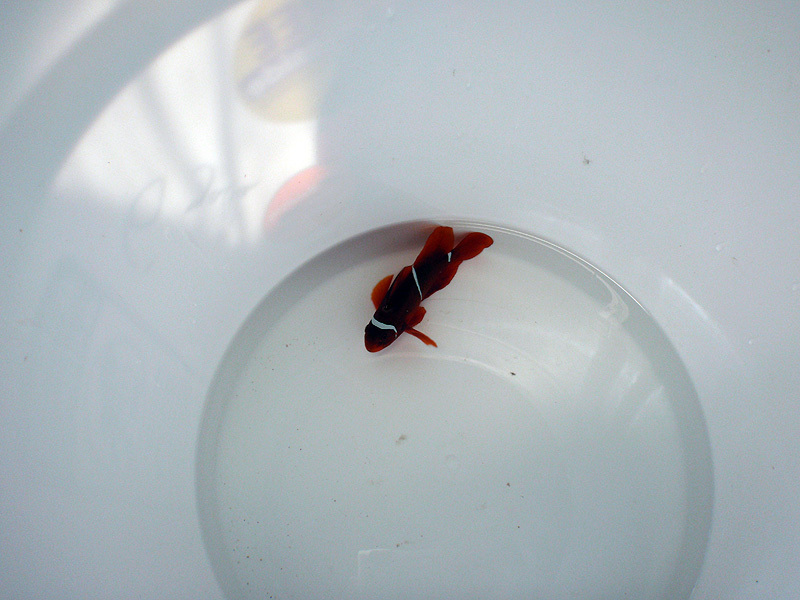 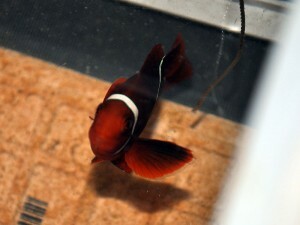 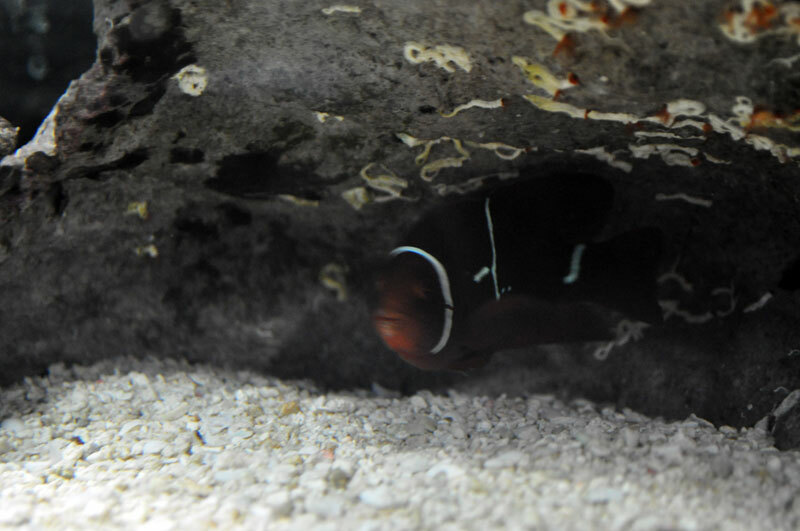 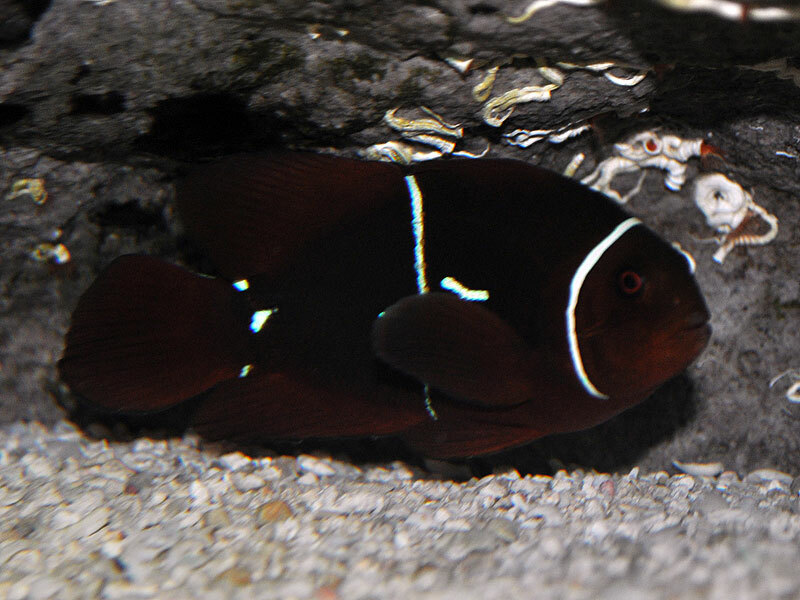 That's one gorgeous large Maroon Clownfish! Bravo to everyone involved! Started the drip acclimation on the female. 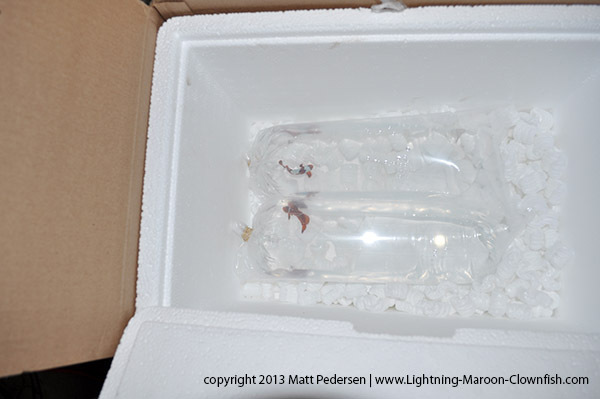 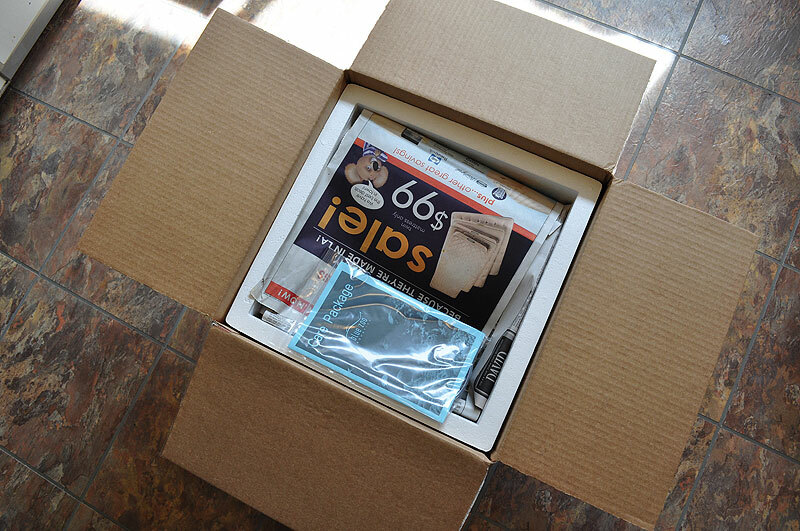 I followed the drip acclimation instructions provided in Blue Zoo's Acclimation Handbook, shipped with every order. 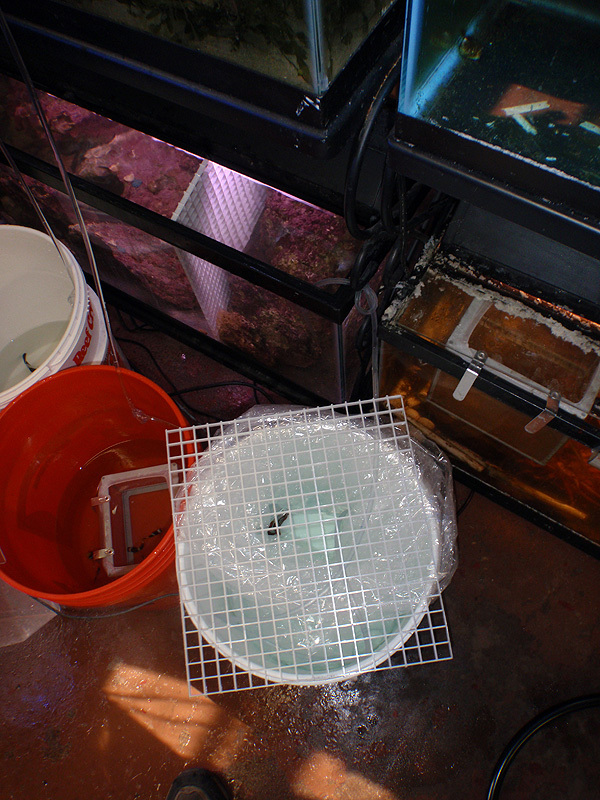 When drip acclimations were done, each fish was gently moved BY HAND into their designated sides of the QT tank. I moved them by hand as wet hands (experienced in fish handling) are less abrasive, damaging, and risky, especially with fish that have spines that can be caught in netting. 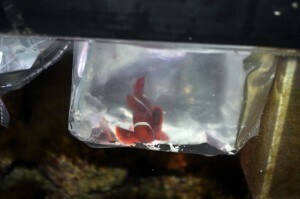 And finally, after hours of acclimation, they're in their tank. Separated by Eggcrate! 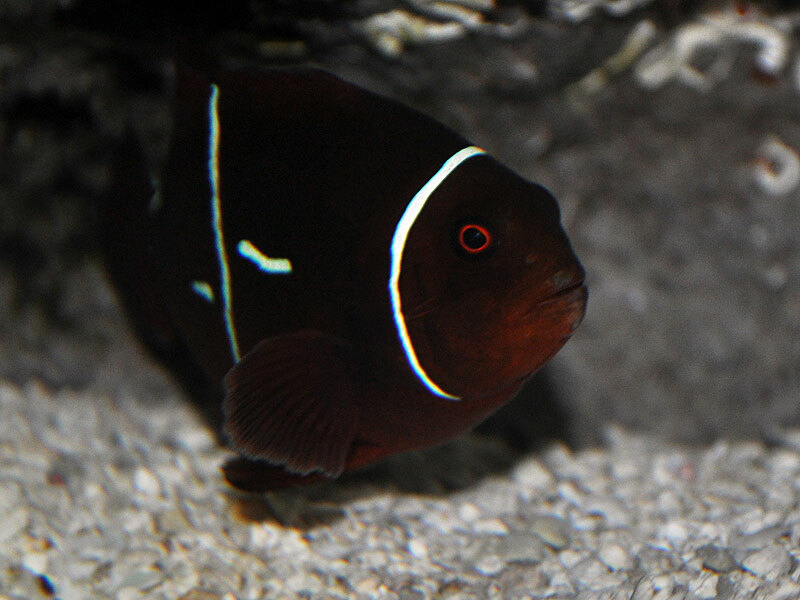 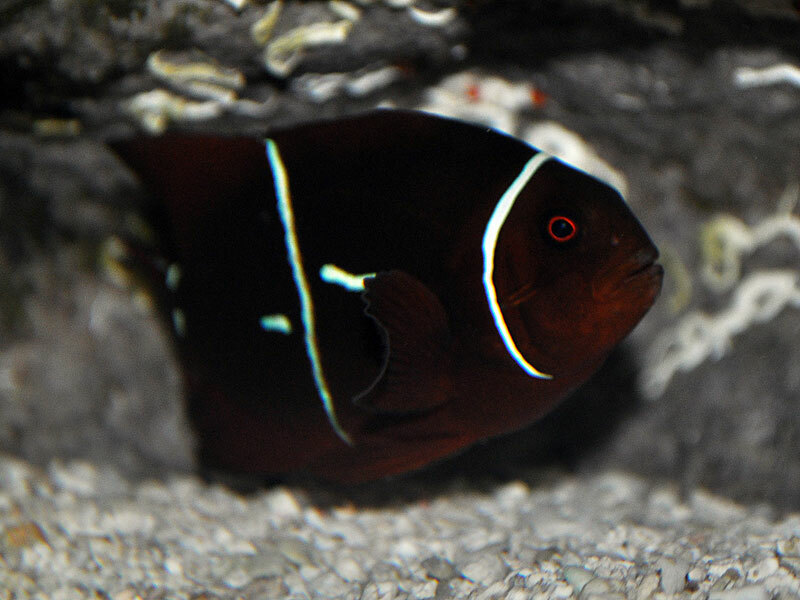 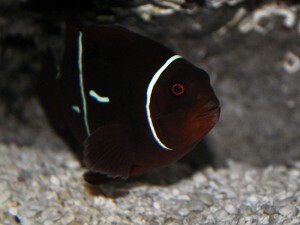 Another look at that stunning female PNG Maroon. Slight misbar on the tail, but Maroon stripes fade, bottom up, with age. 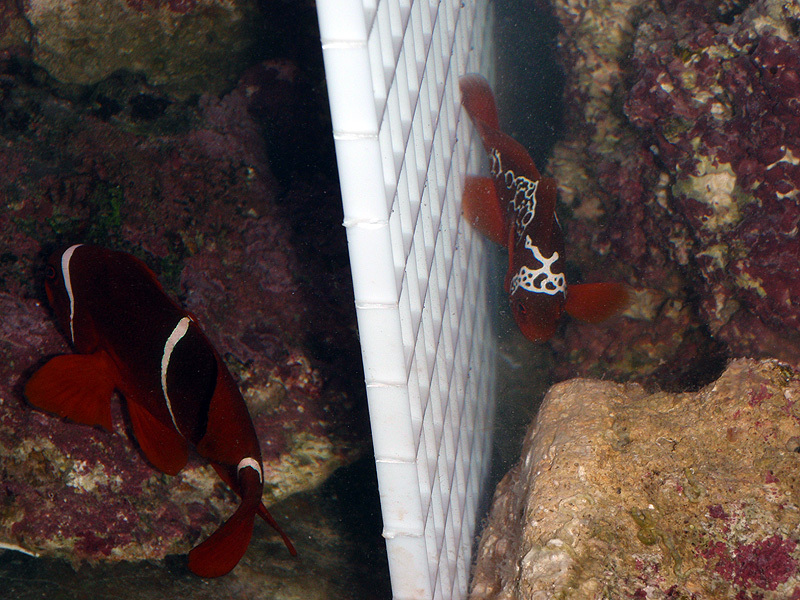 The Lightning Maroon knows that there's a larger Maroon on the other side of that eggcrate. 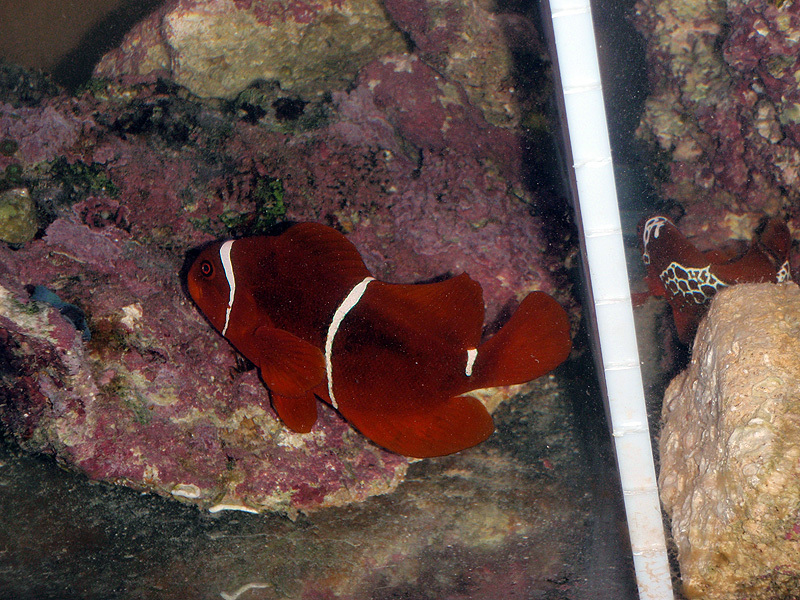 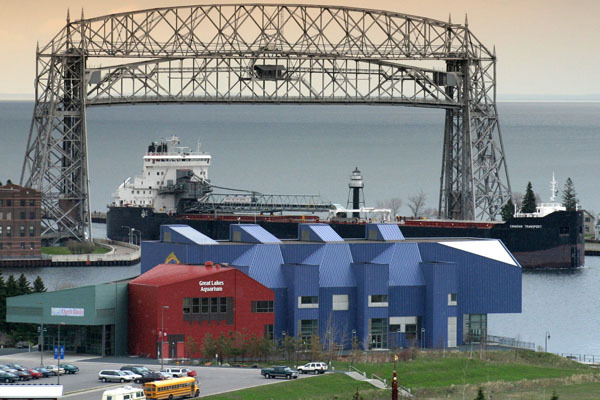 This is their initial home, the larger PNG Maroon getting the majority of the space. 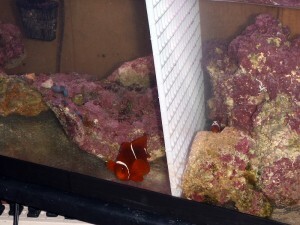 So, here’s how their tank is set up. 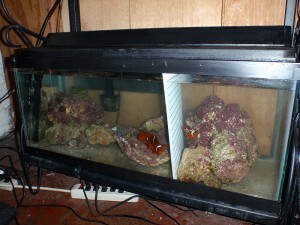 It’s a 20 Long full of live rock. 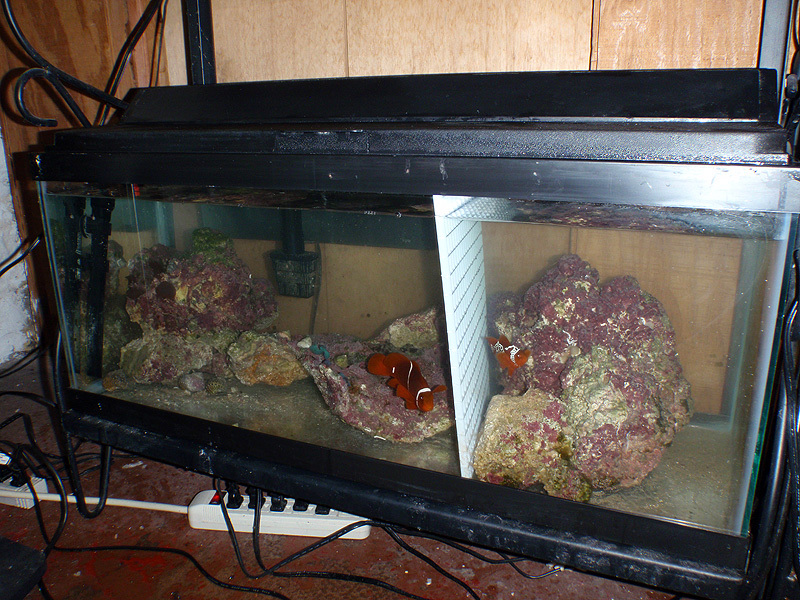 The only filtration is the live rock itself, with water circulation provided by the Penguin Power Filter hanging on the back. 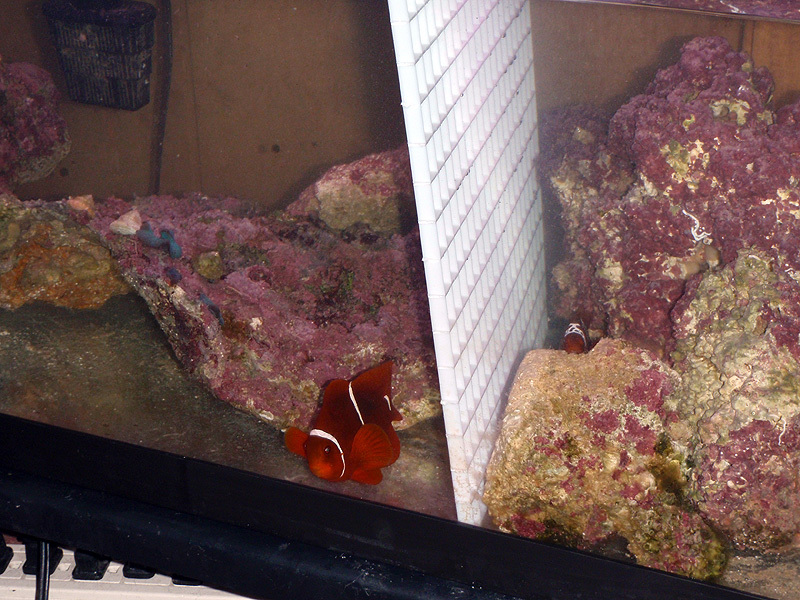 This tank had been set up for months housing a much larger male Blue Jaw Triggerfish (Xanthichthys auromarginatus) which was given away to local reefer Jim Grassinger (of the Filter Guys) so I had a quality established home for these Maroon Clowns. 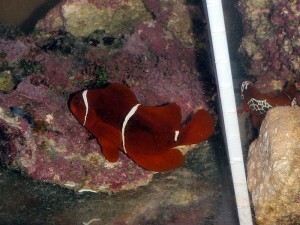 The clowns couldn’t have a more stable and established dedicated aquarium than this. 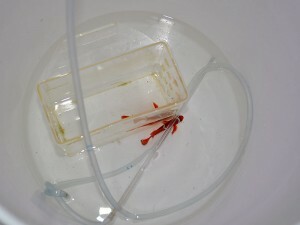 The added benefit was limited exposure…it’s not like they were on a system exposed to many other fish. 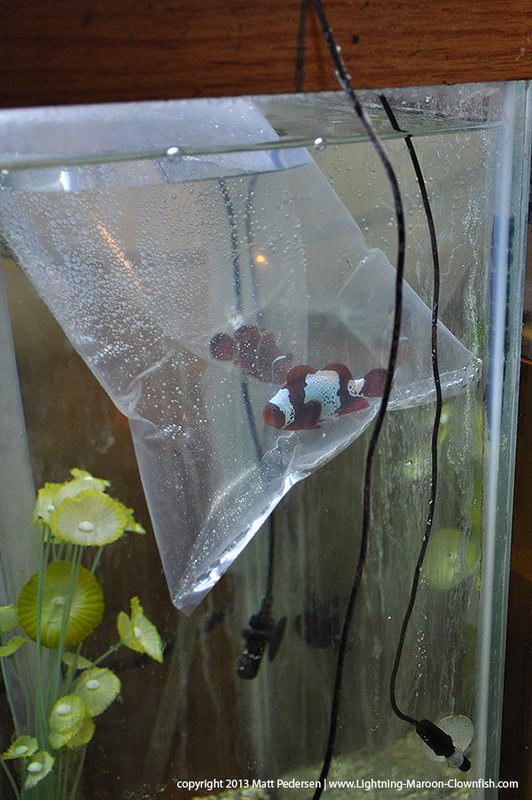 And that’s the story of how they got from the Boxes into the tank. 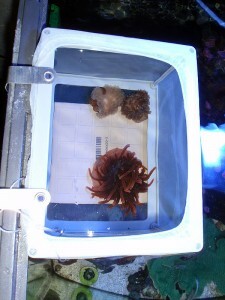 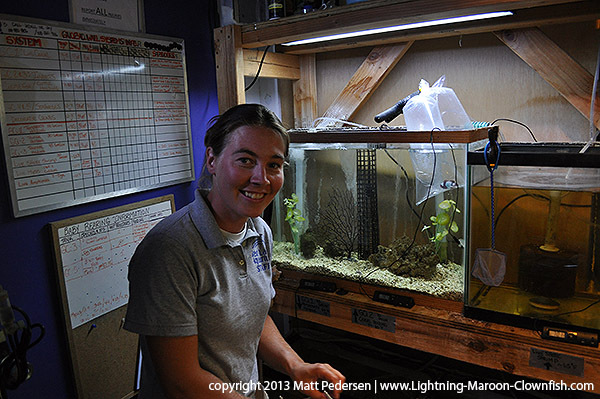 I followed Blue Zoo Aquatic’s acclimation protocols pretty much exactly. 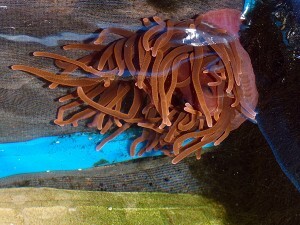 Blue Zoo even provides tubing and a suction cup to make this as easy as possible. 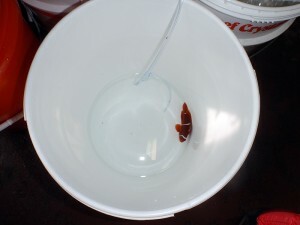 All it takes is a knot in the tubing to control the rate at which water siphons from the tank into the bucket. I do want to mention that I realized about 30 minutes into the acclimation process that the buckets were sitting on cold concrete basement floors. 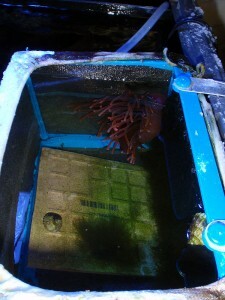 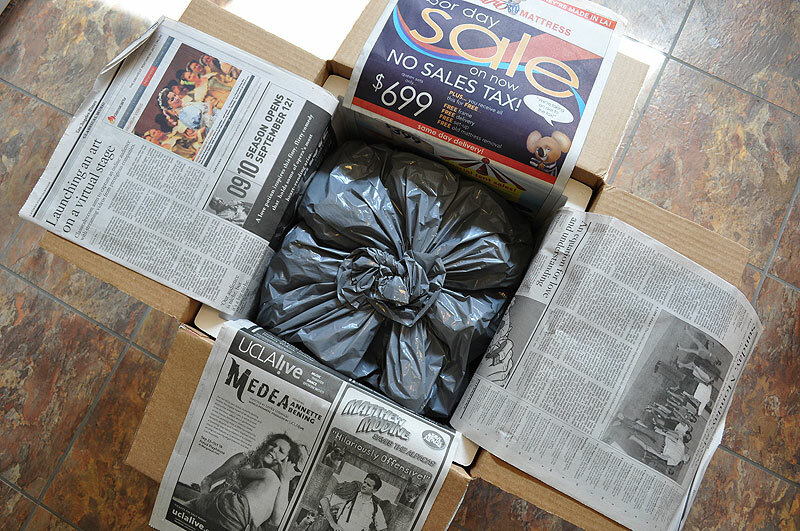 In an effort to insulate the buckets, I placed them on the styrofoam lids from the shipping boxes. I may always do this now…it certainly doesn’t hurt and probably helped keep the temps more stable.